Small, hard masses of dried mineral that form inside the kidneys or any other part of the urinary tract, kidney stones are a common condition the urologists at Greater Austin Urology see on a regular basis. While smaller kidney stones can pass through your system without complication, large kidney stones can be quite painful, dangerous and even deadly if not properly treated. Read on to learn more about this common condition and how you can take action if it is affecting you. If you notice these or any other symptoms of kidney stones, you will want to seek help from a medical professional at Potomac Urology right away. Unfortunately, some people are at a higher risk for kidney stones than others. If you have a family history of kidney stones, repeat urinary tract infections, digestive problems or certain medical conditions, you may be at an increased risk for kidney stones. Certain medications can put you at an increased risk as well. The best treatment for kidney stones will depend on the size of the stone as well as the severity of the pain. For a small stone that is not too painful, you may be able to pass it on your own by drinking lots of water, taking pain relievers and taking medication to help you relax your muscles so the stone can pass. Larger stones will require more extensive techniques, however. For example, your urologist may use sound waves to break up the stone or surgery to remove it completely. Be sure to talk to your doctor to find the best treatment option for you. Once your kidney stone has been removed, you will want to take steps to prevent more stones from forming in the future. Common preventative measures include drinking plenty of water, adjusting your diet to avoid oxalate-rich foods and foods that are high in salt, and avoiding calcium supplements. Your urologist may even give you certain medications to help prevent your body from forming additional stones. Whether it is dangerous or not, passing a kidney stone is never fun. Call and schedule an appointment with your urologist at Greater Austin Urology to discuss the best treatment option for you as well as how you can prevent additional stones from forming in the future. 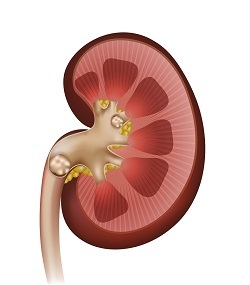 Do you think you may be suffering from kidney stones? Call Greater Austin Urology in Austin, TX at (512) 540-3937 to schedule an appointment for treatment!